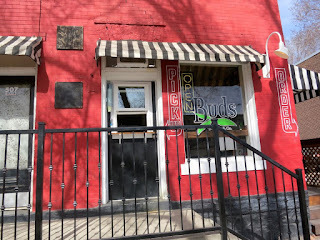 I flew into Salt Lake City on a Thursday afternoon and met a friend at Buds Sandwich Shop. This all-vegan sandwich shop has no outside seating so you order at the window and take a seat outside -- that's different. 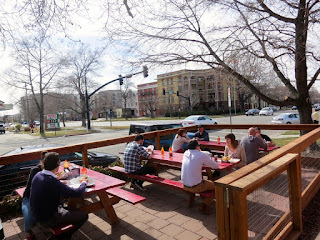 Luckily, it was a gorgeous day and it was wonderful to sit outside. So we placed our orders and took a seat. 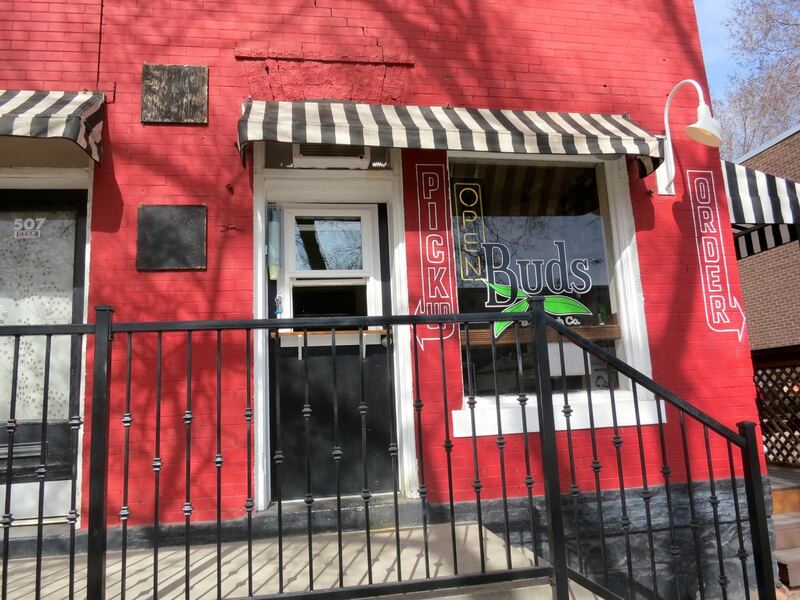 Located in a simple red brick building, the word "Buds" is on the window and two arrows show you where to order and where to pick up food. That's simple enough! Outside, there are three red picnic tables. We waited until our name was called, then dug in! 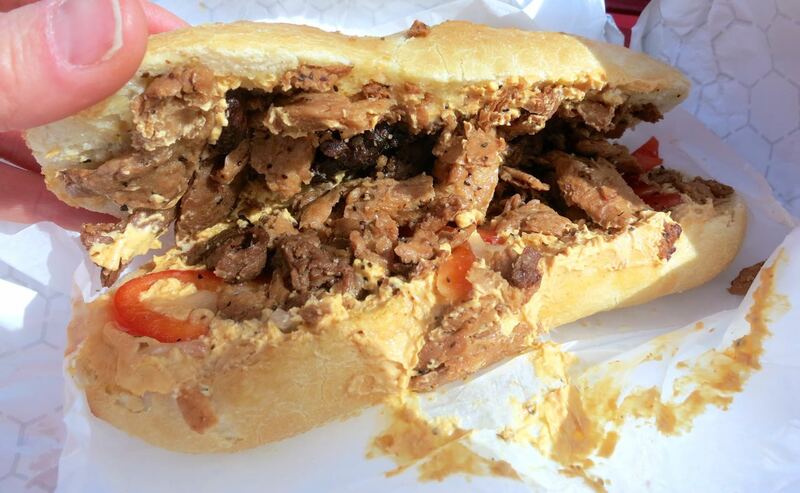 I ordered the Cheesesteak only because of the rave reviews I saw online. And, hey, it was pretty good! The toasted sourdough bread was pretty darned tasty and the sub was filled with peppered soy steak, bell peppers, grilled onions, and warm smoky cheese sauce. I really enjoyed it and it was very filling. The "steak" had a nice flavor and texture and the cheese sauce, while thick, was really good. My friend ordered the Buffalo Salad and I have to say I really liked his too! Atop a bed of greens is grilled soy chicken in housemade buffalo sauce with carrots, tomatoes, and red onions. 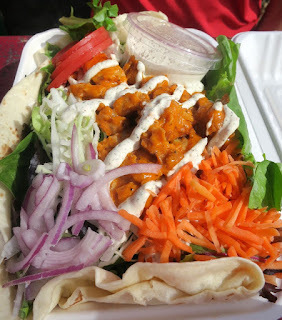 It was topped with a creamy herb aioli dressing. There was even a warm flour tortilla at the bottom, which we didn't discover until the end! With our meals, we had some Hansen's natural sodas and the vegan zucchini chocolate chip cookie. I looked away for a moment and my friend ate half right away! Such is life. For just $6 - $7 per meal, this was a steal. Great vegan food with not much overhead. I can dig it. Next time I'd love to try the pesto or buffalo subs!